Need some training on the latest trends in Microsoft Dynamics Business Central? Look no further than our customer conference. At this free event you will learn from our experienced team and our valued partners. The 2019 Innovia Customer Conference is made for you. At this conference you will receive free training designed for your Microsoft Dynamics Business Central (Microsoft Dynamics NAV) system. But there's so much more. You will also get the opportunity to learn the latest in a wide variety of Microsoft Dynamics add-on solutions and related applications. See the full list of sessions in our 2019 agenda. But wait, there's more. You also get the unique opportunity to network with fellow users, members of team Innovia and other special guests. We hope you will join us for this event and invite your colleagues. If you have any questions about the conference please reference our brand new FAQ guide. It is filled with the answers to your essential questions regarding the 2019 conference. But there's even more! This event is not only free to attend, but we will also cover your meals and accommodations while you are here. We hope you will join us and make the 2019 Innovia Customer Conference our best one yet. As you are receiving your spring training from Innovia you will have the opportunity to exchange trading cards with your fellow attendees. Your goal, get five of the same card. During our closing ceremony we will announce the winners who will receive a $50 Amazon gift card + an Innovia Backpack and Umbrella. We will also be giving away a Microsoft Surface Go, and a Xbox One S as Grand Prizes. Insight Works is a leading developer of add-ons for Microsoft Dynamics NAV and Dynamics 365 Business Central. Insight Works specializes in helping manufacturing, warehousing, and distribution companies get the most out of their ERP. We work with a global network of partners who, together, help companies excel and be leaders in their industry. Insight Works is a Microsoft Gold Certified Partner. 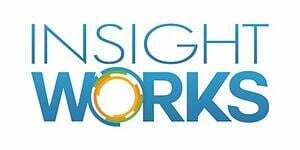 Insight Works is the official sponsor of our Welcome Reception. Avalara helps businesses of all sizes achieve compliance with transactional taxes, including sales and use, VAT, excise, communications, and other tax types. The company delivers comprehensive, automated, cloud-based solutions that are designed to be fast, accurate, and easy to use. We automate and simplify governmental compliance processes, including tax determination, exemption certificate management, and tax return preparation, filing, and remittance. Avalara works within a customer’s own accounting, ERP, ecommerce or other business applications making the integration of tax and compliance solutions easy for customers. 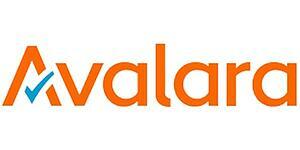 For more information, visit www.avalara.com. Your business needs quick and easy access to accurate information to continually improve customer experience and fuel growth. CALUMO is a powerful business intelligence and corporate performance management platform created by finance people, for finance people and the teams they serve. CALUMO has been designed so more people in your business can access and make use of performance data. Dynamicweb's All-in-One platform combines CMS, E-commerce, PIM and Marketing capabilities to create powerful customer experiences across all channels. Their solution fully integrates with all Dynamics ERPs since 2009. 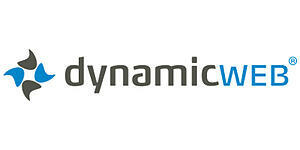 Today, thousands of businesses around the world run more than 12,000 websites with Dynamicweb. 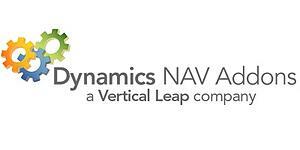 Dynamics NAV Addons develops, sells, and supports, a variety of tools to extend the functionality of Microsoft Dynamics NAV. Started in 2005, Dynamics NAV Addons offers a variety of addons that have been sold all over the world to thousands of NAV users. The addons are inexpensive, easy to install and setup, and easy to use. 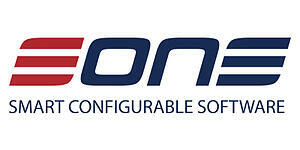 e-Con CPQ helps you save time and money spent creating quotes, proposals and orders, calculations, projects & documents. What’s the best choice when you’re considering CPQ software for Microsoft Dynamics 365, AX, NAV, or CRM? One short name: e-Con. We’re the only CPQ software that can offer more than 20 years of strict focus on Microsoft Dynamics. 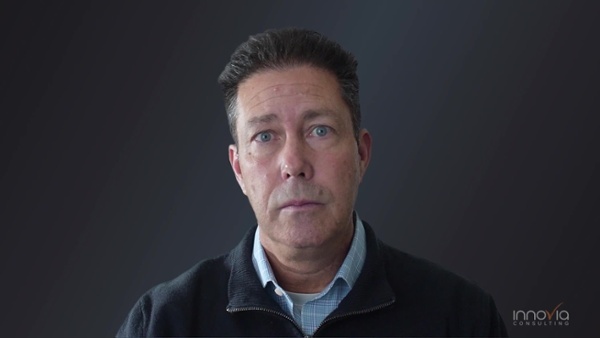 Our dedication and innovations enables customers to, reduce errors, increase efficiency, improve quote response time, streamline your quote-to-production process, and store and share expertise. Equisys, developer of Zetadocs for NAV and Microsoft Dynamics Business Central, provides electronic document management and expense management software that helps small and mid-market businesses become more efficient by eliminating paper-based processes and the use of unstructured network folders. 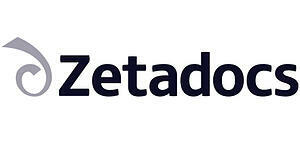 The Zetadocs® product suite directly integrates with accounting and enterprise resource planning (ERP) systems to handle the archiving of documents within NAV and Business Central records while also providing electronic batch delivery of business documents such as invoices. As a Microsoft Gold ISV, Zetadocs streamlines business processes by removing tedious manual procedures while helping companies improve their customer service and retention. Lachesis is a strategic consulting and data analytics firm that helps small and mid-sized businesses in all sectors achieve business outcomes that matter. Using real-time data analytics, Lachesis brings clarity to operational processes - transforming siloed, non-communicative data platforms into instruments of statistic clarity and business intelligence. The Lachesis team possesses a world-class business and data management skill set, empowering clients to identify and address the issues and opportunities that are most critical to their success. Actionable data is the key to business prosperity. 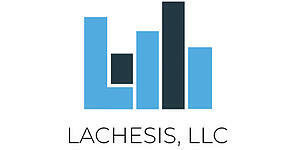 Lachesis puts actionable data within reach, fostering sustainable growth and making the impossible, possible. 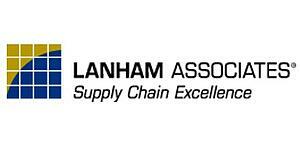 Lanham: Your single source for supply chain solutions and services. Every day more than 120,000 professionals in 21 countries depend on Lanham for supply chain productivity. Lanham’s software suite offers demand planning, EDI, POS data analytics, shipping & receiving, container tracking and warehouse management – all with the UI you know and data easily accessed in your database. The suite is designed to work together, so you can start anywhere and grow, based on your needs. Providing many options, Lanham software is available inside NAV Perpetual and Subscription licenses, or in Microsoft D365 Business Central. 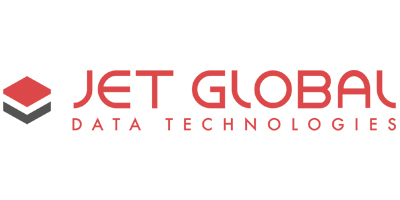 Jet Global delivers complete data access and control from Microsoft Dynamics so board members, executives, finance professionals, and managers can make decisions at the speed of business without the need for bottlenecked technical resources, or data expertise.Through flexible reporting, fast analytics, and controlled budgeting solutions that leverage Excel and Power BI, Jet Global empowers users to become instantly successful and productive in an environment that is both user-friendly, familiar, and secure. Visit www.jetglobal.com to see why 14,210 companies rely on Jet Global for their business insight every day. NAV Payroll is the truly integrated Microsoft Dynamics NAV payroll solution designed from the ground up with one goal in mind, simplicity. A pay period can be run and posted with just a few clicks of the mouse, and the posting setups are flexible enough to handle any payroll requirement. 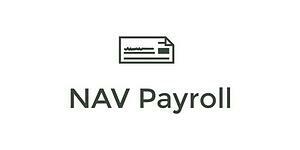 NAV Payroll delivers exceptional visibility into payroll expenses and how they impact your company’s profitability by item and/or customer. And our new payroll app ‘Primo Payday’ delivers all of the same integrated functionality for Microsoft Dynamics 365 Business Central users. If Microsoft NAV or Business Central is your ERP system, NAV Payroll is your payroll solution. 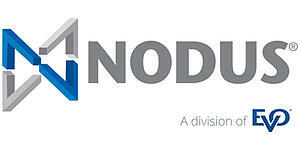 Nodus Technologies specializes in electronic payment processing, customer payment portals, and cloud payment solutions for Microsoft Dynamics. Our expertise assists organizations of any size and industry with achieving PCI compliance while automating accounts receivables, expediting funding, and improving the customer experience. Nodus, now a division of EVO Payments, offers in-house payment processing to provide merchants lower processing rates along with a one-stop location for all of their payment processing needs. ProCat Distribution Technologies helps hundreds of small to mid-sized warehouses across the United States with barcode scanning software. PickRight, our order picking solution, has proven to achieve 99.9% order accuracy and a 90% reduction in customer claims. Picker productivity increases between 20-40%. 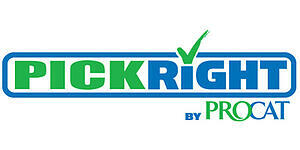 PickRight does not require a WMS so implementation is fast and easy. Deployment occurs in one pick area at a time for minimal disruption to operations. With an expansive reporting suite and real-time label printing, PickRight makes warehouses paperless. PickRight easily integrates with all ERP systems and can be scaled up as your company grows. 100% ROI is achieved in less than one year. Your business is evolving. Your systems should evolve too. 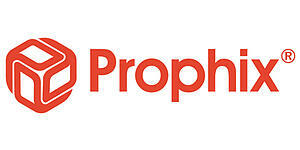 Achieve your goals more successfully with Prophix’s innovative Corporate Performance Management (CPM) software. Improve profitability and minimize risk when you automate repetitive tasks and focus on what matters. Budget, plan, consolidate and report automatically. Whether in the cloud or on-premise, Prophix supports your future with a platform that flexes to suit your strategic realities, today and tomorrow. For more information, visit our website. 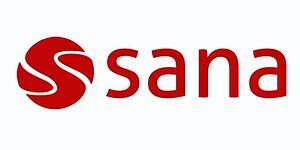 Sana helps businesses all over the world reach their full potential. 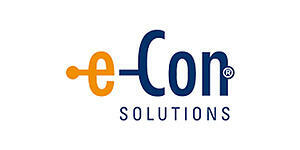 We offer the shortcut to e-commerce. How? Through 100% seamless integration with Microsoft Dynamics NAV and Dynamics 365 Business Central. Our e-commerce solution leverages existing business logic and data in powerful and user-friendly web stores. This lets our clients focus on improving their customer experience, streamlining sales processes, and increasing sales volume and frequency. Sana Commerce is a certified partner of Microsoft Dynamics. Our innovative approach and strong partner network have made Sana the driving force behind over 1,500 web stores worldwide. Future-proof your business and join our e-commerce movement. True Commerce is the most complete way to connect your business across the supply chain, integrating everything from EDI, to inventory management, to fulfillment, to digital storefronts and marketplaces, to your business system, and to whatever comes next. To stay ahead in today’s dynamic global market, companies need to be able to do business in a lot of different directions at once. 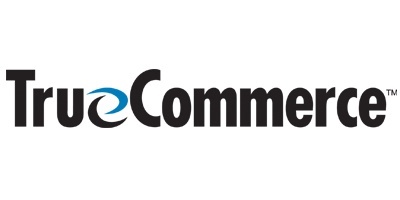 For decades, TrueCommerce has helped businesses be more connected, more supported, and more prepared for what’s next. That’s why thousands of companies – ranging from start-ups to the global Fortune 100, across various industries – rely on us. TrueCommerce. Do business in every direction. Interested in sponsoring the 2019 Innovia Customer Conference? 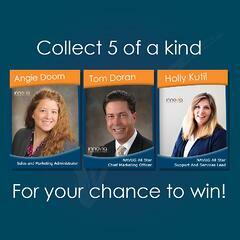 Please contact Angie at adoorn@innovia.com to discuss sponsorship opportunities.